The dramatic moment that our star, the Sun, appears to be cloaked in darkness by the Moon during the Total Solar Eclipse of 9th March 2016 in Indonesia. 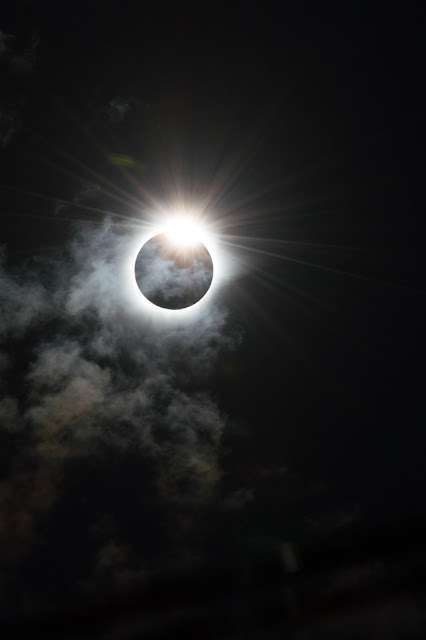 The Sun peers out from behind the Moon and resembles the shape of a diamond ring, caused by the rugged edge of the Moon allowing some beads of sunlight to shine through in certain places. Breath taking,,, Beautiful Thank You. Nature at works. incomparably powerful at most.